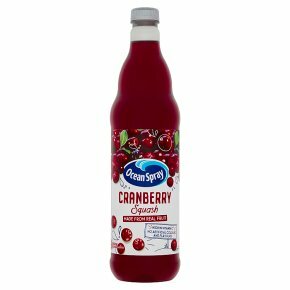 Rich in vitamin C. Free from artificial colours and flavourings.Our deliciously crisp & zingy cranberry squash is perfect diluted with still or sparkling water. Enjoy cold as a refreshing thirst-quencher or splash into hot water to make a comforting winter warmer. For the perfect drink, dilute one part concentrate with four parts water. Add extra water for toddlers.